Nice purse. Color different, thought to be a little different. Color Match the picture, looks good. Do not stick out. All as the picture. Hole bottom annoying, but probably not. IN any case, coin will not fall out, for they separate compartment, though too small a little. Belarusian notes fit. Shipping Volgograd for about a month. Thanks to the store. 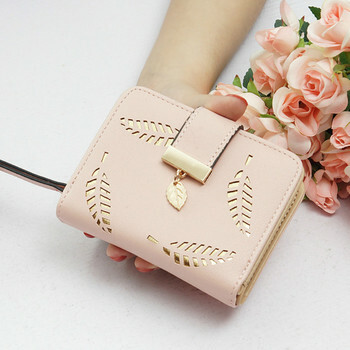 Purse good quality. But: 1. Small Paper Money-up for 100 and 200 ruble banknotes. 2. No compartment for coins. Peněženka them pekna. Objednavala jsem si tu šedivou. Jediná věc what se me nelíbí them, with there není žádná Poradna kapsicka for drobné. Arrived ant is of the agreed date, is same as the photo shown and I love it❤. Went three weeks in Херсонскую region. Just exactly the money. In general, happy. ok.i recimended it. this is very beautufull and really good qualoty thanks!